In the midst of the turbulent and chaotic economic woes that America faces on a daily basis, how are we supposed to respond to the financial armageddon that has encompassed us? It is very easy to become saturated with fear and anxiety, and to live in worry and be pessimistic about the future. The economic experts are predicting that the economy will be in a downward spiral for several months to come. Politicians and government analysts are divisive on how to solve the crisis. To be completely honest, the secular and mainstream world are in a frantic panic. However, if we abide by God’s economic policy, we will be prosperous and live a joyful life. 1.) God’s economy is based on faithfulness. Being faithful to God requires more than 10% tithes and an offering. While we are required to bring God our first fruits through tithes and offerings, our faithfulness to God is simply the way we live our lives. If we are faithful to him by abiding in his word, prayer and offering up sacrifices of praise at ALL time, God will be faithful to us. If we love him and put him first above anyone and anything, God will look out for us and he will be our provider! 2.) God’s economy is based on contentment. Trying to keep up with the Joneses is very easy to do, but also can be detrimental. Paul said that “I have learned that whatsoever state I am therewith to be content.” In this financial disaster that our country is currently in, many people were trying to live outside their means. If God has not given you the resources to live higher than your means, DON’T DO IT! We must be content with what God wants us to have. I do believe God blesses unconditionally, but also on his timing and that we cannot try to push the fast forward button and try to live upscale before it is our timing. We must be content and be willing to let God use us in whatever state we are in. Our contentment will take us to a higher level with God which opens the door for more blessings and opportunities. 3.) God’s economy is based on selflessness. “For the love of money is the root of all evil”. Greed has crucified our financial system. It’s because of greed that CEOs are receiving huge bonuses even when their companies are under-performing. It’s because our world has become intimate with greed that Wall Street is constantly sinking. Bank accounts have dwindled, savings have evaporated and for many people, their lives have been turned upside down. Money can cause us to become selfish and think about our wants instead of us investing into the kingdom of God. When you invest into God’s economy, you will never become “broke”. For when you invest into the economy of God, you invest your time and energy into being developed into the man or woman of God that God wants you to be and you do not become caught up in the stress and money woes of the secular world. It is important for us to be kingdom minded and start of thinking of serving God and others and not ourselves. 4. )God’s economy is based on trust. At this time, people have little trust in government. Can we blame them? Absolutely not! The corruptness that has been revealed has fractured what little trust people may have put in government. However, God’s economy operates completely different. God wants us to trust in him. We must believe that his word is forever settled in heaven. When our family and friends fail us, we must trust God to be a friend that sticketh closer than a brother. We must trust him to make a way out of no way. We must trust God to stand in our defense and be our strength when we are weak. 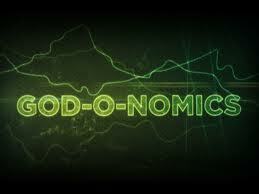 God’s economy is NOT in a recession! The world is wavering but God isn’t. Let us partake in God’s economy by investing our time and energy in his kingdom. Let us store treasure in heaven and not in this earth. That which is divine, cannot be harmed by that which is secular.